Children donated items (food, toys, stationery) for this year's shoebox appeal. 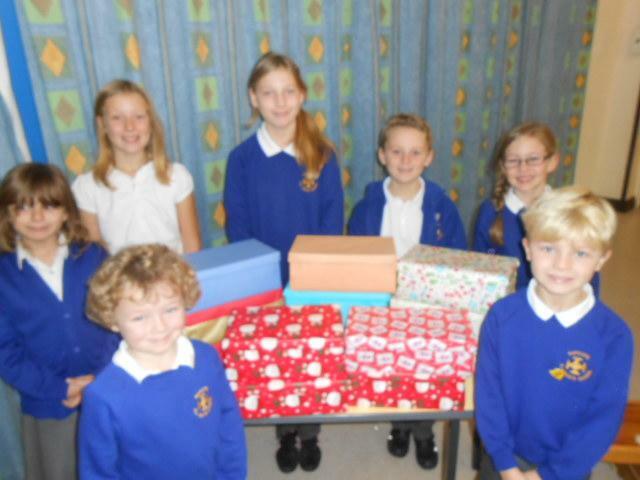 These were then collected, organised and placed into shoeboxes decorated in Christmas paper. These shoeboxes will be sent to children in different parts of Europe who would be unlikely otherwise to receive any Christmas presents.